Safety Watch Australia [SWA] is a group of well-informed industry leaders who have designed a Risk Management System catering to the real estate indsutry that ensures landlords and private clients are placed beyond risk when dealing with Smoke Alarms, Safety Switches, Pool Barrier & Corded Window Furnishings compliance. 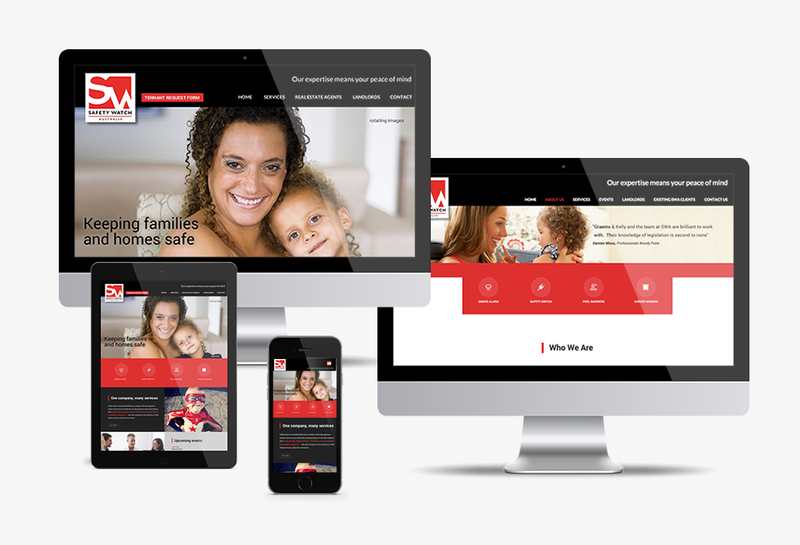 SWA are one of the leading players in the industry and needed a website revamp to reflect that. They wanted to include professional video and multimedia as well as high impact design and a completely responsive solution. Blue Lily created a website that was modern and professional with a clean sleek design that catered to both their private and industry clientele. The site has a strong focus on imagery to convey their key messages along with strong content. The site conveys the qualities of professionalism, trust and reputation ensuring the brand has credibility to those who visit the site.